When the story begins, Newt arrives in New York, his case full of magical creatures. Soon enough, one of them escapes in a bank, trying to steal money. After chasing it, catching it and finally leaving, Newt discovers that he exchanged case with a muggle. Meanwhile, an ex-auror named Tina, catch him because Newt let himself be seen by a muggle while doing magic. By mistake, Newt's case has been exchanged with another man's case, full of pastries. In a short time, Tina and Newt found the No-Maj named Jacob, who possess Newt's case. He got bitten by one of the creatures and he's in a bad shape. They take him to Tina's to heal him. Healed, Jacob now helps Newt in his search of the beasts he lost. I've read this screenplay so fast, it took me an evening and it was so good! We are in J.K. Rowling's universe but with new characters and a new story. 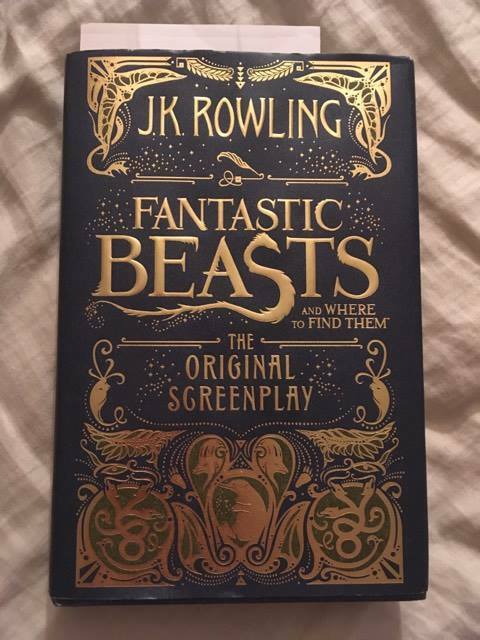 This is a breath of fresh air for the Harry Potter fans and sincerely, I hope this author will do it again. 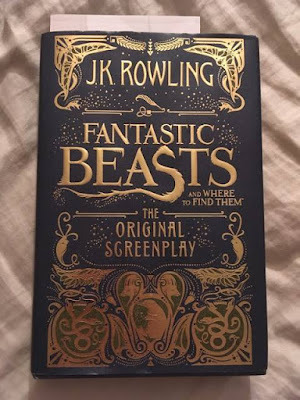 I didn't see the movie before reading this book and it doesn't prevent me from picturing the beasts because the descriptions were excellent. At first I was scared because of the screenplay format, but it's easy to enter in the story and we easily forget that it's not written in the common novel way.